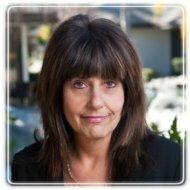 Costa Mesa Therapist: Beth Siegel - Therapist 92626. Send A Message To Dr. Siegel. I am a psychotherapist who is licensed as a Clinical Social Worker in addition to having a Doctorate. I received my Master's degree from Loyola University of Chicago and my Doctorate from Newport Psychoanalytic Institute. I also completed a year of training from the Los Angeles Institute's Trauma Studies Program. I have 20 years of private practice experience, providing Individual, Marital and Family Therapy. I am also a former employee of UCI Medical Center where I worked in both a medical and psychiatric capacity, including the Emergency Room, Burn Unit, and Traumatic Stress Program. I am a member of the Soldier's Project, serving Veterans and their families returning from the Iraq and Afghanistan wars. I am also a Tricare provider and Centerstone provider. Therapy is about expanding your mind and the goal is to increase awareness of yourself. I take into consideration many aspects of what makes a person healthy and happy. I specialize in issues that prevent people from feeling authentic, relaxed, expressive and confident about who they are. Most people feel some anxiety or depression at some point in the lifecycle. My focus incorporates treating issues across the bio-psycho-social-spiritual spectrum. How we feel about ourselves impacts everything we do in our lives-our work, our play and our relationships. I want to help you to explore and manage the feelings of defeat you may be feeling when you cannot control what you are doing, when you repeat actions multiple times that lead to the same outcome, and make you feel like a failure despite your best intentions. With time and consistency of psychotherapy, patterns are understood, reduced, and shifted. Our minds are capable of plasticity, thereby altering and giving us potential to grow. I look forward to hearing from you so we can start to work together on some of the challenges in your life.